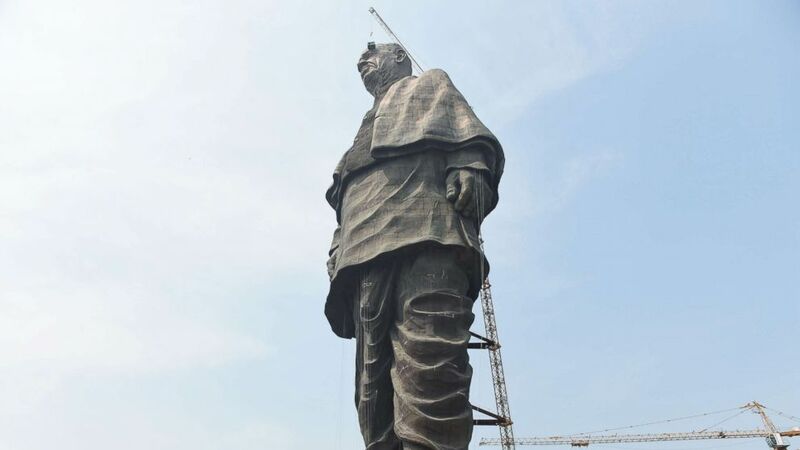 It honors Sardar Patel, who helped unite India after independence from Britain. 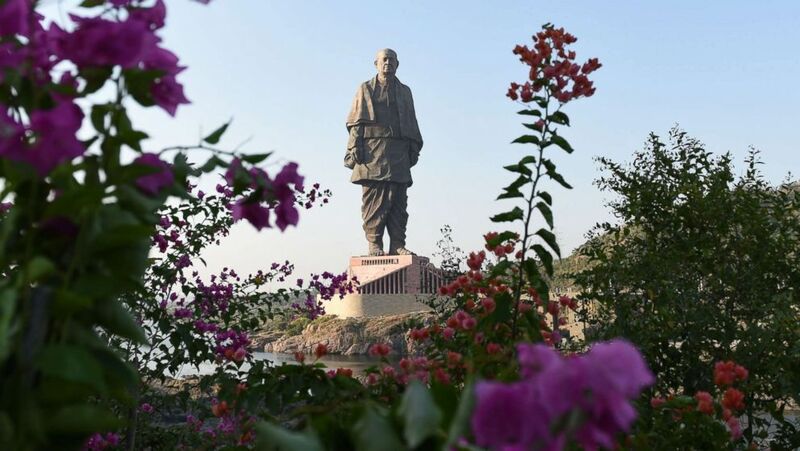 (Sam Panthaky/AFP/Getty Images) The "Statue Of Unity", the world's tallest statue dedicated to Indian independence leader Sardar Vallabhbhai Patel, stands overlooking the Sardar Sarovar Dam near Vadodara in India's western Gujarat state, Oct. 30, 2018. 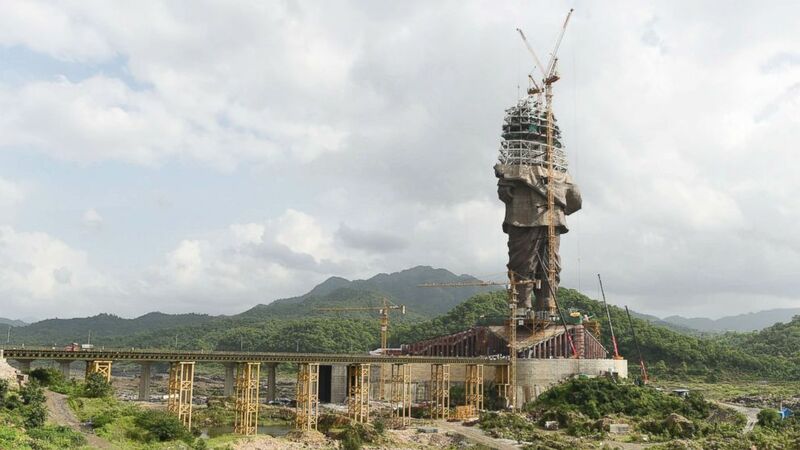 (Sam Panthaky/AFP/Getty Images) Workers pose at the base of the world's tallest statue dedicated to Indian independence leader Sardar Vallabhbhai Patel, overlooking the Sardar Sarovar Dam near Vadodara in India's western Gujarat state, Oct. 18, 2018. 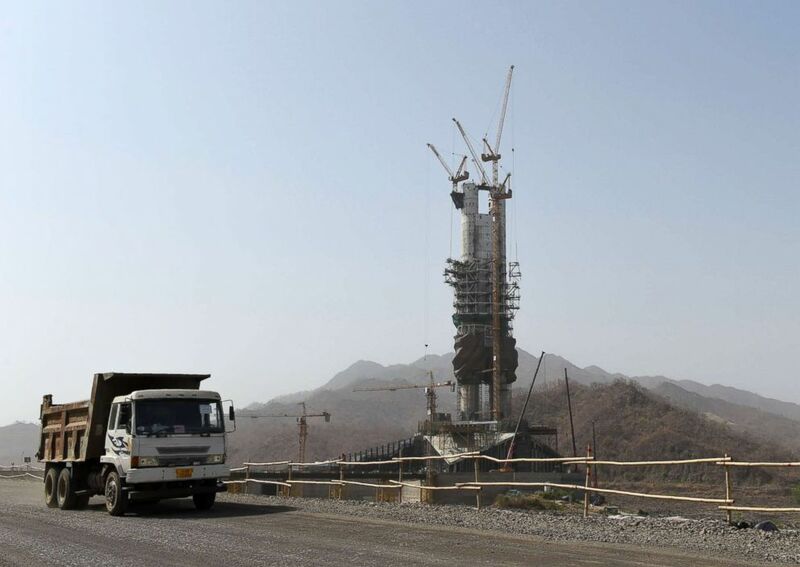 (Sam Panthaky/AFP/Getty Images) Indian workers carry on construction works at the 'Statue Of Unity,' a monument dedicated to Indian independence leader Vallabhbhai Patel, at Kevadiya Colony in the vicinity of Narmada Dam, Aug. 25, 2018, from Ahmedabad in Gujarat state. 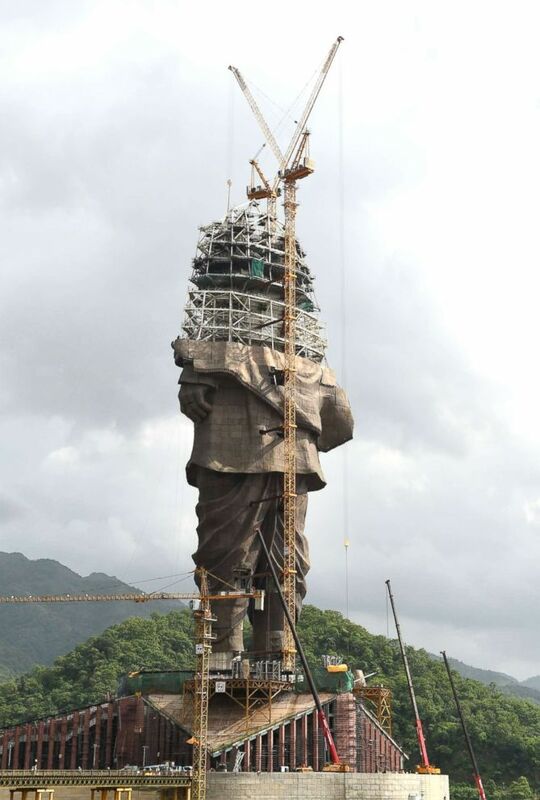 (Sam Panthaky/AFP/Getty Images) This photograph taken on April 18, 2018 shows the under-construction "Statue Of Unity," a monument dedicated to Indian independence leader Sardar Vallabhbhai Patel, overlooking the Sardar Sarovar Dam near Vadodara in India's western Gujarat state.